Almost all kind of mobile manufacturers do not allow their apps to work on other mobile phones though using same OS. Now, some of them have moved on and we can take example of the Finnish manufacturer that is now revising its policy and they have announced that their Nokia WP7 apps will be made available to all other devices running WP7 as well. Did you understand what it means? 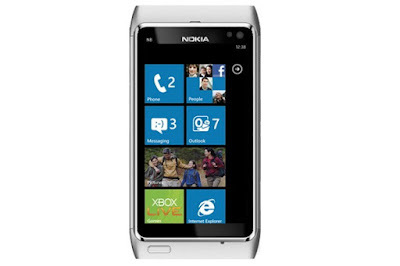 Well, if you have any WP7 handset in your pocket, no worries, you can still download Nokia's apps. It could sound better if they also announce the sharing of Nokia apps with other mobile platforms as well. But for now, that is not the case. There are also certain limitations. You can't run all the Nokia apps on your WP7 handsets. Like there are some specific games that may not work properly on your WP7 devices. However, some good and great apps are coming in the near future. Nokia and Microsoft meeting has turned into something good. And it looks like their partnership is not going to end soon. The windows phone market has just hit the 25,000 mark and it looks like it is getting fast growth. It's not much as compared to Android and iOS but it definitely is a point of rise for the WP7 and things are getting better for the Microsoft. We are expecting more from the future. Let's see what else we'll see.